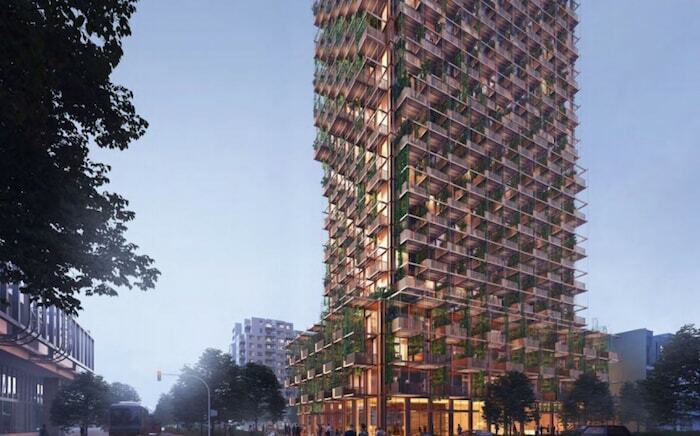 A 32-storey mixed-use building featuring a “vertical forest” of vines and ivy hanging down the exterior is proposed for a site across from Joyce-Collingwood SkyTrain station. A rezoning application for the Westbank-owned property at 5055 Joyce St. has been filed with the City of Vancouver. A three-storey mixed use commercial building that houses the YMCA is currently on the site. 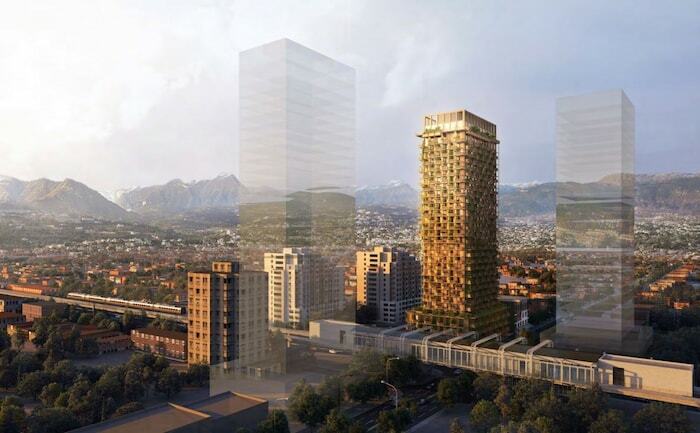 The developer’s plan includes 298 market strata residential units, ground-floor commercial retail space, 197 parking spaces and 533 bicycle spaces. Perkins and Will is the architectural firm for the development. The condo units include 146 one-bedrooms, 120 two-bedrooms and 32 three-bedrooms. A community open house about the project runs from 5 to 8 p.m. at Collingwood Neighbourhood House at 5288 Joyce St. on Nov. 15. In recent years, the City of Vancouver conducted a review of the area surrounding Joyce SkyTrain Station, which has been undergoing upgrades to increase passenger capacity and improve accessibility. The city’s review of the area looked at land use, density, building forms, transportation issues, how to improve public spaces and what amenities were needed to support the population in pockets around the station. The population has grown substantially in the last 30 years, particularly between 1991 and 1996. But the city’s review sparked concerns from some neighbourhood residents who feared they would be displaced due to development and that business rents would increase. However, policy and zoning changes were approved in in December of 2017, with site on the corners by the SkyTrain identified for highrises.